Something’s wrong. When fabricator Alpha Seven interrupts your otherwise uneventful journey on the Subsurface Circular, you come to learn that Teks have started to suddenly disappear. I should probably mention at this point that you play as Theta One One, a detective that remains geo-locked to the underground train network until management hands him a case to solve. Except, this time, you choose to break your management directive and investigate what has been happening. 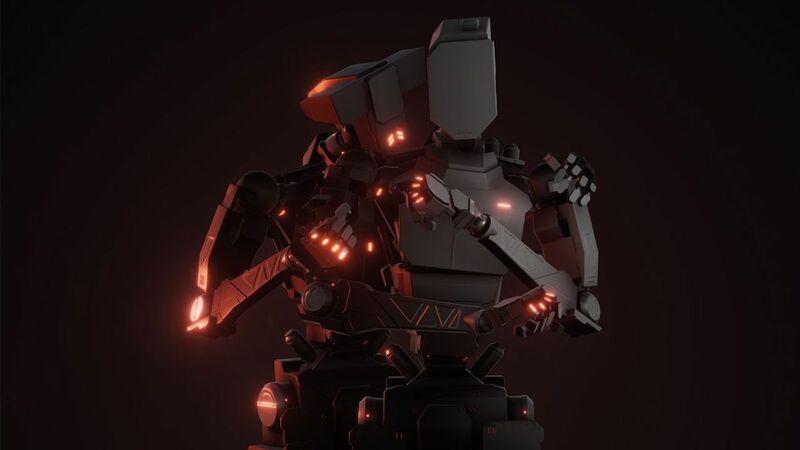 Subsurface Circular is set in a futuristic world where humans co-exist with Teks, which, to briefly explain, are a robotic working class that handle all the jobs that everyone no longer wants to do. This text-based adventure arrives on the Nintendo eShop as the latest project from Thomas Was Alone, Volume, and EarthShape developer Bithell Games, and is the first title in their new Bithell Shorts series. And, to echo their words for a moment, it has been designed as a self-contained story that’s best experienced in a single play session. It wouldn’t be unfair to say that the game feels experimental in approach, seeing as it takes place entirely in a train carriage and relies on your interactions with the Teks that board at each station that you stop at for its storytelling. Not having the ability to speak, the Teks communicate with one another in private text conversations, and it is through these that you will not only uncover the truth behind the disappearances but learn more about what’s happening in the world both above and below ground. The Teks that you meet are more than happy to have a natter, which is a good thing seeing as you wouldn’t have much to do in Subsurface Circular otherwise. Each Tek is programmed to perform a particular role or function, such as a psychiatrist, lover, librarian, or childcare, which is something that has been used to lend them both their own personality and perspective on the world’s events. Early on you will chat with researcher Omicron Three, who collates data on major cities for their employer. London is bustling and as noisy as ever, but the political situation is difficult. San Francisco is beautiful but there aren’t many Teks there. And most of the human population has left Mumbai after heavy flooding, which has resulted in it being adapted to become the first Tek city. And then there’s elder Omega Five Niner, from whom you learn that Teks were first created 30 years ago. He also grumbles that the disappearances wouldn’t have happened under the “old way,” when Teks knew to stay in their place and not have aspirations to serve a higher purpose. It is through these conversations that you will start to piece everything that surrounds this sci-fi mystery together, ruling out speculation to sleuth out what’s actually going on. There’s more to Subsurface Circular than simply poring over dialogue and choosing the manner of your responses, though. Your core functions as a detective Tek not only list out your immediate objectives but will unlock Focus Points as you uncover new topics through your conversations that are related to the disappearances. These can then be used when chatting with other Teks, with the hope that you will discover new information. The game is chaptered in sequences, and, as you move between them, Teks will leave the train carriage at stations while others will wander on and grab a seat near you. This is prompted once you have gleaned as many details as you can from the passengers, which, more often than not, will require that you overcome some minor puzzles. From learning an access word from librarian Sigma Two to override an athlete Tek’s overactive sponsorship routines about ELITE energy cells to coming up with a joke that’s packed with enough surprise, these are never particularly devious by design but will still need you to hunt out a solution. And if you need it, there is a Hint Button that will lend some clues. Ant Workshop has done commendable work in porting the game to Nintendo Switch, whichever way you choose to play. I’d certainly advocate Handheld mode, not only for its intimacy but a neat touch with HD Rumble – which sees objects that the train passes carry the vibration from one Joy-Con to the other. There’s touchscreen input, too, which works well, although I personally preferred to use the standard button controls. The £4.79 ($5.99) price point is reasonable, too. Even taking my time to explore every dialogue option that was available to me, I saw the game through to its conclusion in around two hours. For me, it didn’t outstay its welcome, and the shorter playtime resulted in a more polished experience. And, beyond completion, I enjoyed the chance to look through the concept artwork that unlocked and to chat with the BithellBot – a Bithell Games take on developer commentary that lets you converse with a Tek about the game’s creation process whether that be art, design, audio, and more. Slickly presented, striking in design, and thought-provoking in the conversations that it unravels, Subsurface Circular marks another welcome addition to the Nintendo eShop for Nintendo Switch. Its narrative focus makes it a little different to everything else that has hit the digital storefront and that’s by no means a bad thing, as the game’s shorter format makes it the perfect distraction between games that demand more of your time.